Robyn Herbert is a Year 11 student in Elizabeth Garrett Anderson School and a panellist in the “Belonging” conference on the 3rd December, held for improving diversity and hearing inspirational talks. Speakers included James Bennett from Holloway School, Shalina Sequeira from Sonnet Consulting and Ndidi Okezie from Pearson. The conference ended with a conversation with Michelle Obama and our Executive Headteacher, Ms. Dibb. Robyn also created and ran a workshop about disabilities. Her speech was highly praised by students, teachers and visitors. What made you want to be a part of the panel? What topics did you discuss in your workshop? Within my workshop we discussed the different challenges that people with disabilities face daily and how people could be more accommodating to others' needs. What impact do you think the panels talk had on the recipients? The panel seemed to have made people more aware of the barriers facing those with disabilities as well as the discrimination and stigma we face. I received a lot of positive feedback afterwards, which I was highly grateful for. I think it opened their eyes to the reality of how their words can have a lasting impact, which will hopefully affect their actions in future. How did your feedback from audience members make you feel? Honestly, great. It made me feel as if I was making some sort of difference. What was the most beneficial thing from the conference? 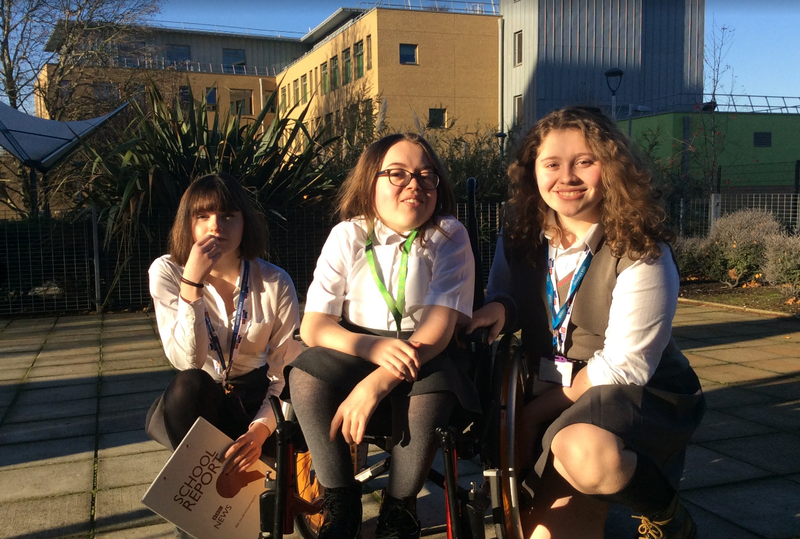 The conference made people begin to have an understanding that the minuscule amount of representation that disabled people have in the media is not okay and how much needs to change before we can even begin to have diversity. In one word, how would you describe this experience? How has your outlook changed after hearing Michelle Obama's speech? My outlook has changed drastically since hearing the speech. Despite the obstacles lying in her way, she achieved highly and became one of the most distinguished women of this era. If Michelle Obama could achieve so much despite so many setbacks and so many people telling her that she can’t, then why can’t I? Aside from Mrs Obama, which speakers inspired you? Another panellist, Ndidi Okezie from the publishing company Pearson, recited a story of how her teacher told her she would amount to nothing. This gave her the drive to achieve great things, which she eventually did. Hearing her tell her story truly inspired me to continue to be diligent and studious. Out of what Michelle Obama said, what inspired and resonated with you most? One overarching theme that she talked about was her background and barriers she had to overcome. Being told that she ‘wasn't Princeton material’ by a guidance counsellor motivated her to work even harder and get in. The way in which she transformed the negative energy she received into a positive, motivating force truly inspires me. Her talk of these barriers resonates with me, and I hope to be able to overcome any barriers I have just as she has done. What do you hope to do in the future? How has this day and Mrs Obama's visit influenced you? I hope to become an artist in future. Michelle’s speech proved that, even if others doubt me and are sceptic of my ability, as long as I believe in myself then nothing is impossible.